Have you missed the "Food Friday" posts? My family sure has because they are usually the taste testers. I've been excited since my birthday to break in two of my presents- my new pistachio colored Artisan Kitchen Aid mixer and the cupcake recipe bible. 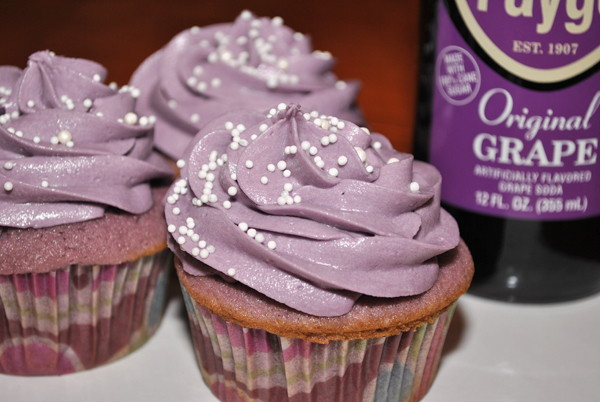 However, I had some mixed feelings about posting this Grape Soda Cupcake recipe because as gorgeous as these cupcakes are I don't feel the taste lived up to that in taste. But I'm posting this recipe anyways because everyone has a different taste. At the end of this post I'll tell you what I would do differently. 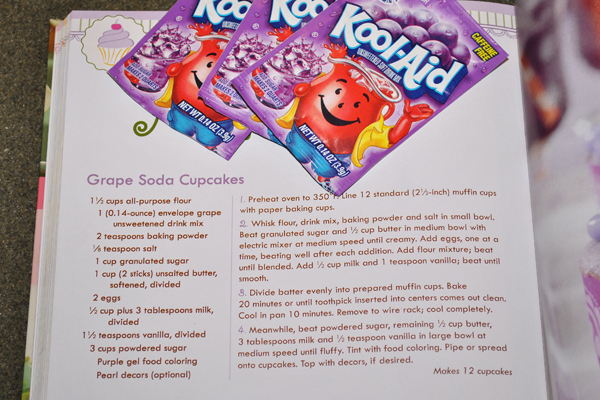 You can print the Grape Soda Cupcakes recipe HERE. May I first just say- Oh My God I love my Kitchen Aid mixer! How the hell have I been baking for so many years without one. Honestly, if you love to bake and don't have one...SAVE now! You will never regret buying one! 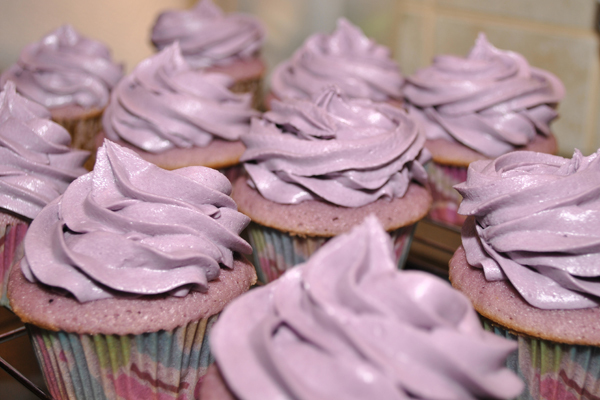 The frosting on this cake was very yummy, however, please get the purple gel. 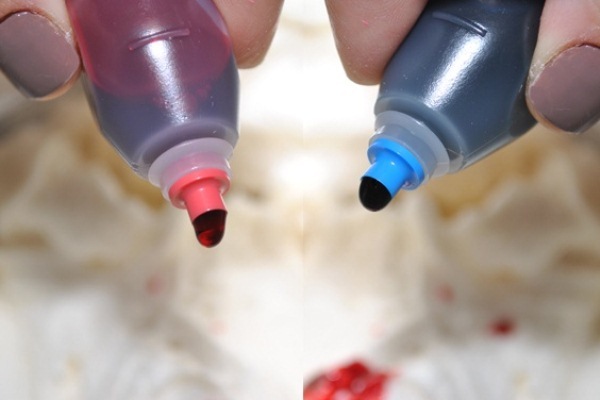 The food coloring added that fake coloring taste to it. 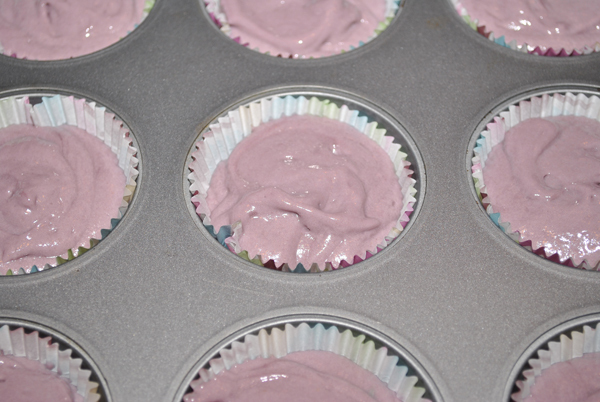 As for the cake, a friend told me to use white cake mix and then 1 can of grape soda as the base instead of drink mix. I'm definitely going to try this next time. 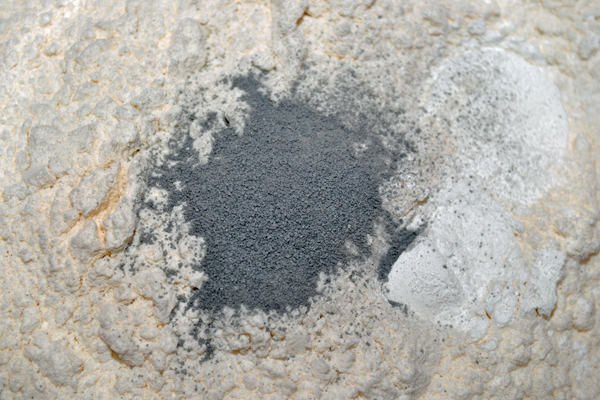 If you do want to try the original recipe out you can print the image HERE.